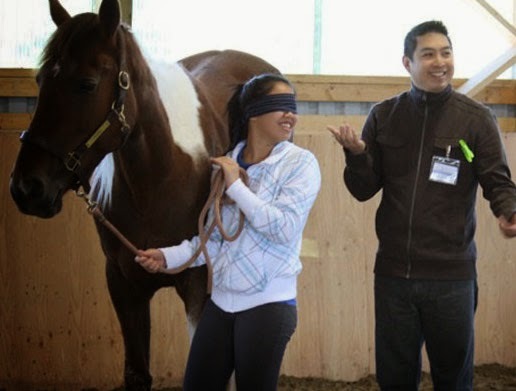 In a previous blog, horses were described helping humans with emotional problems, equine assisted psychotherapy, but they are also helpful for "normal" people, even corporate teams.. I met Tracey Evans at the Can-Am show and was impressed with her enthusiasm and then read an article in The Rider, the newspaper I work with about Dreamwinds Equine Assisted Learning Centre. Horses are unique. Their size frightens many, but in fact they can be very gentle. They are also very perceptive and will give feedback. They offer a unique opportunity for humans to develop their potential. Many people are fortunate to already know this, but in our urbanized world many of us have lost the connection. Looking for something different for your staff? Want something more than sitting down and watching power point displays? 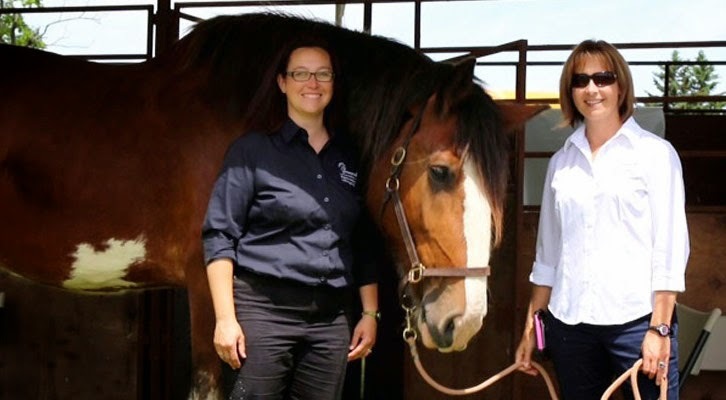 Dreamwinds Equine Assisted Learning Centre in Bradford, Ontario offers a unique program for business people wanting to expand their horizons. For staff to be most effective they need to work together and to do that they need to trust one another and communicate. Dreamwinds can customize programs to help build your team. They offer diagnostic assessments, snacks to catered meals, a boardroom and most of all horses. Tracey Evans has a background in marketing that includes American Express. But her real love is horses and she has learned how they can be very helpful in developing business skills. 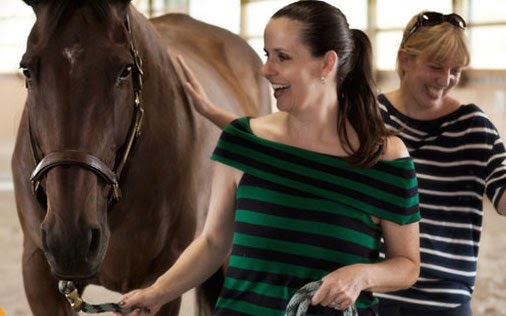 She trained at the Cartier Farms in Saskatchewan to become a certified equine assisted learning instructor. Of course there is a lot more at Dreamwinds. They have programs for women, youth, families and how to become certified. Again we see that there is a place for horses in the modern world. POST EDIT: Just a few hours after my original post I learned from The Rider that Dreamwinds has already won two business awards. From the Bradford Board of Trade they have been earned Best New Business Award for 2014. From the South Simcoe they were recently awarded Entrepreneur of the Year. Im sure you know my feelings on this! Horses are incredibly valuable to any person but especially those in therapy. Such a gift to us.